The hotel Afrika offers accommodation for 56 people in 28 spacious and tastefully furnished rooms. 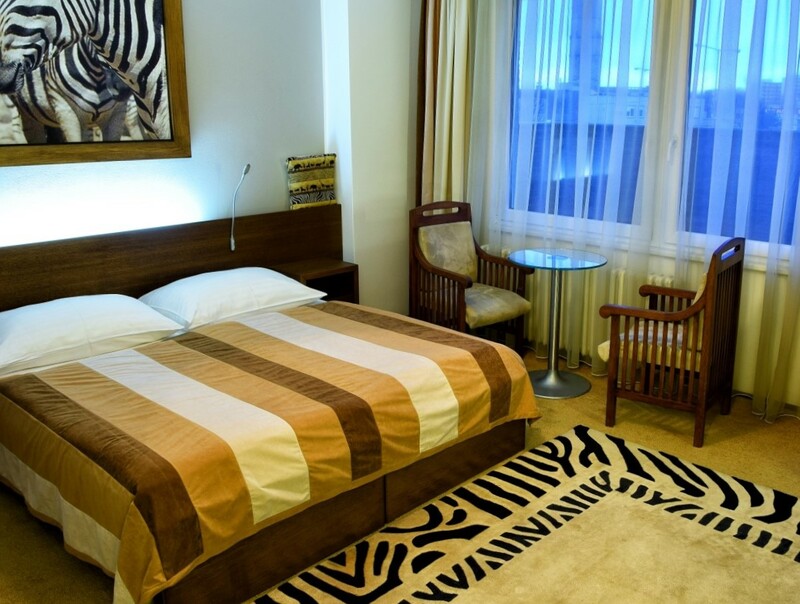 All rooms are fully equipped to a high standard and fitted with modern bathrooms, easy and free wireless internet, modern equipment, LCD TV, minibar, safe and card locks. 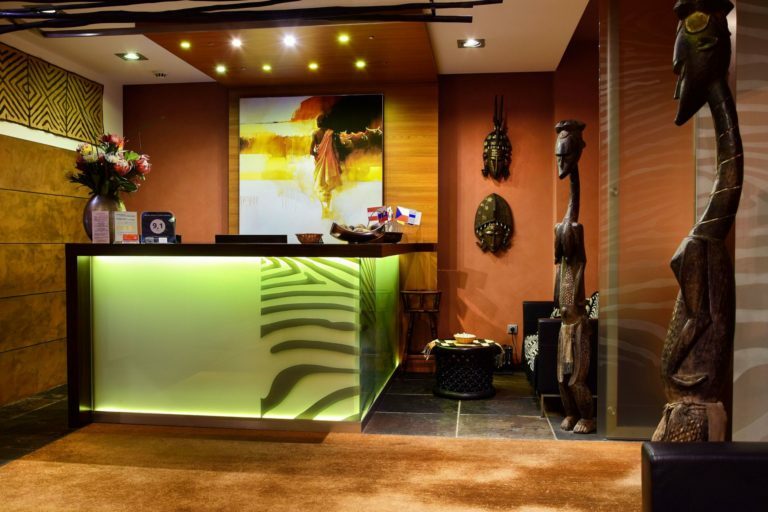 Front-desk is available 24 hours a day. Besides accommodation a lot of other services is available for you. We can help you with organizing taxi, restaurant service or fitness. Our friendly staff will be always helpfull. For business meetings, conferences or corporate language courses are available to guests lounge for 6 persons, located on the fifth floor, room No. 54. 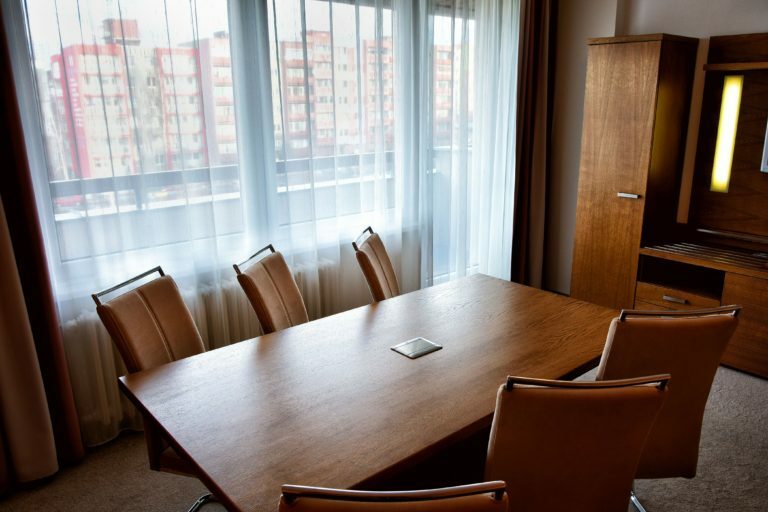 The room is equipped with a desk, satellite TV, wifi and wired connection, telephone, flipchart, minibar and sofa.